The team at Public Agenda surveyed over 2,000 Americans to better understand how they find and use healthcare cost information. 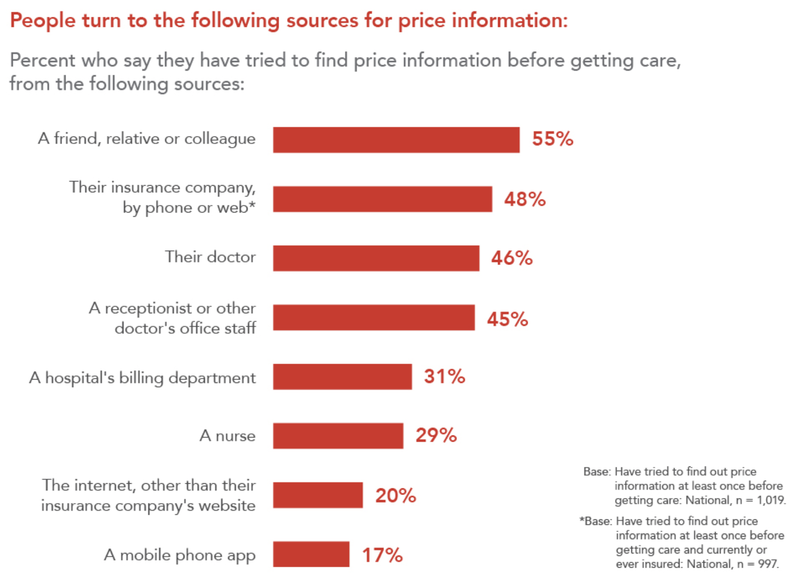 The report is aptly named “Still Searching” because the reality is that even with the growth of consumer-facing price transparency tools, Americans continue to lack access to this information when it matters most. 1. 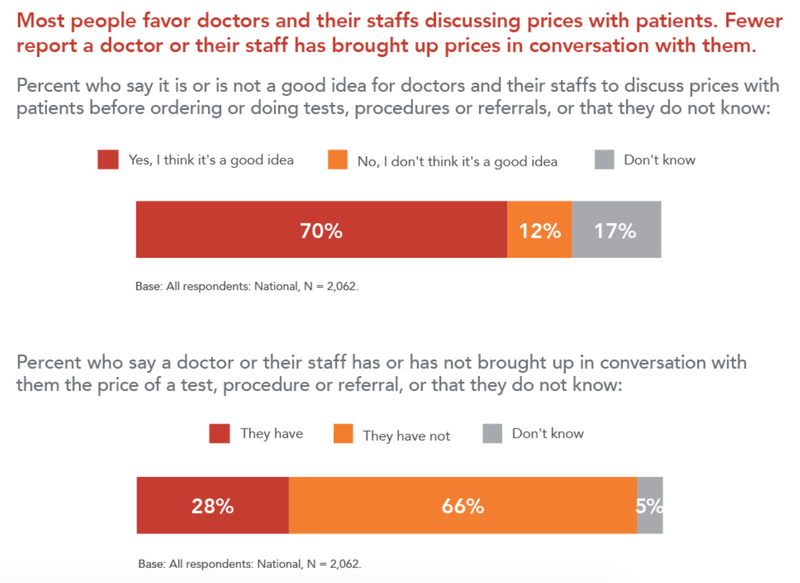 Patients are unaware that costs can vary across providers. In other words, many patients don’t even know that they should be searching for options. 2. Those who do seek out price information find themselves cobbling together information from many, often imperfect, sources. 3. Regardless, patients would love to discuss cost with their provider, but most report that their provider hasn’t mentioned the cost of care. 4. And, most importantly, patients who understand price, save money. This comes as no surprise to us at Markit Medical. When we set out to build this company it was with the recognition that the system has failed patients. The growth in high deductible and narrow-network health plans has left patients in need of more information to navigate their care. The problem? Most consumers don’t know where to find this information, and worse, it typically involves going outside their path of care to login to a website created by their employer or insurer to search for options. We are building a better process. Imagine if as soon as your physician identified a need (e.g., an MRI of your knee), they pulled up a list of in-network options, and the expected out-of-pocket cost based on your insurance benefits? A step further, what if you could schedule that visit before you left your physician’s office? That’s Markit Medical.